A morning trip to a logging camp yielded a few interesting finds. The top of a perfume or hair tonic bottle, my fifth (and best, it still opens!) 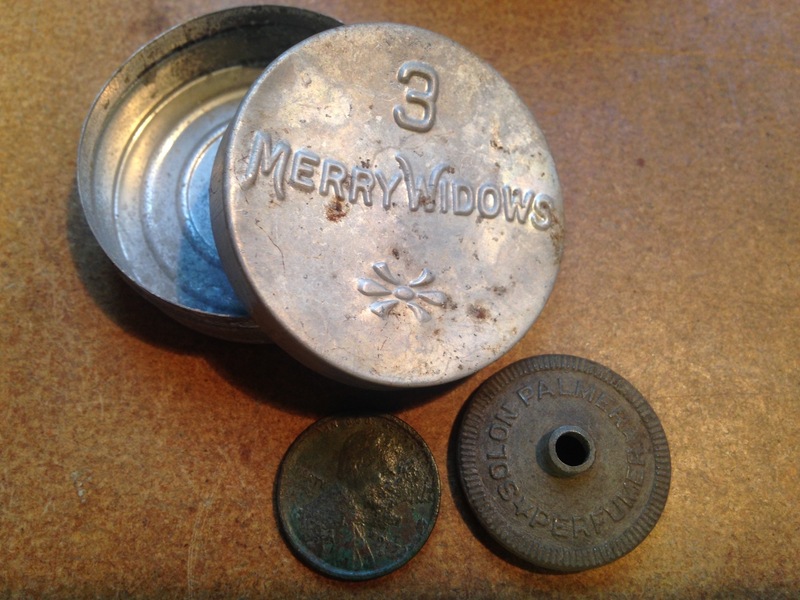 3 Merry Widows container, and a 1917S wheat found about 10 feet from the location of two others I found on a previous trip. This one was in the middle of a big bitterbrush and I had to work to get my coil in there. However, silver still eludes me. 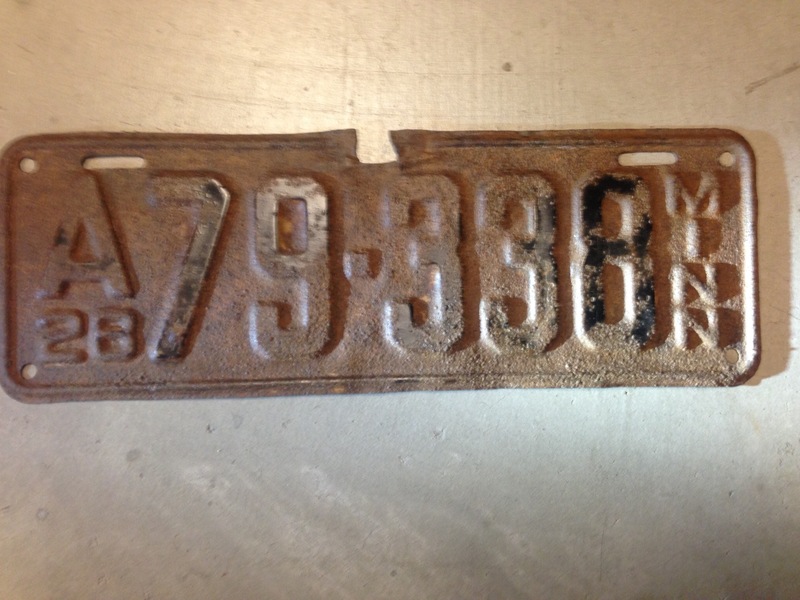 My favorite find is a 1928 Minnesota license plate. Many loggers came from North Central States to Central Oregon. We find many Oregon vehicle license plates in this camp and have found a California plate on a past trip. But imagine driving from Minnesota to Oregon in 1928!